It’s been a whirl wind of a few months and this poor little place fell silent. Last post I shared my stack of boxes and uncertainty about our home. The loan went through and the home is ours! I haven’t taken pictures and don’t plan to until we begin to remodel room by room. The home is beautiful but just a little dated in some rooms, most of it can be fixed by removing wallpaper, texturing and painting. The hardest part will be updating the kitchen as the counters will need to be changed and that’s the biggest expense. But we will get there! We had many ups and downs looking for homes, but as soon as I walked into this one, I knew it was the one. Spacious rooms and a big kitchen! I’ve baked many times in there already and I love the space, I don’t have to rearrange the whole time and use the kitchen table to roll things out. I have all the space I need and it is divine. Our toddler gets a walk in closet… lucky kid, I never had one until now and I have to share it with my husband. The day we began moving in, neighbors came and introduced themselves, the only thing that could have made me feel more welcomed would have been fresh baked cookies. And I baked some of those too. And then just a mere three weeks later, life changed. It was May 20th, I’m sure that date sounds familiar and/or holds a similar bitter taste for you. We knew there was a risk for severe storms for the day, but we had no idea what the day really held. I don’t remember what time what happened anymore, everything became a blur. One moment everything is normal and the next we are unsure if we’d see the end of the day. 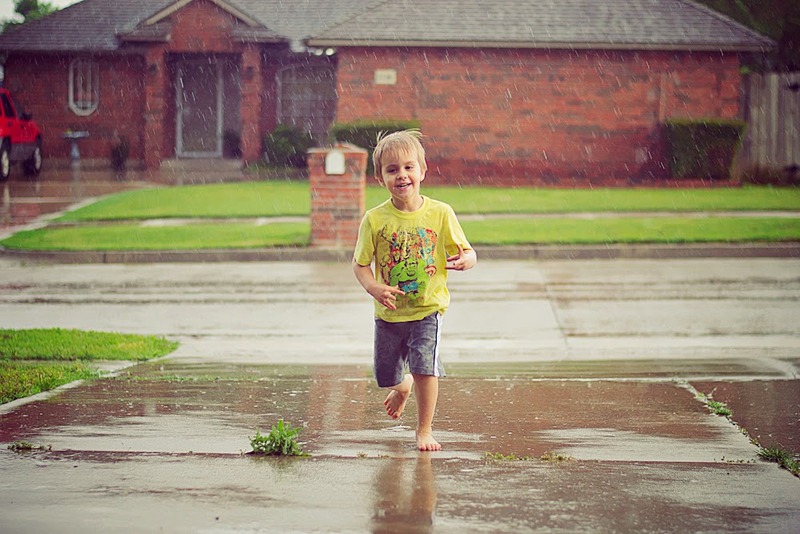 What I do remember was Izzy begging to play in the rain and with the absence of lightning I figured there was no harm. I opened the garage and watched him run in and out. My neighbor was outside seeing her Grandson off to work, as she does everyday. We talked for a moment about the storms and then came the lightning. I whisked Izzy inside and turned on the news. The tornado that would change our community was already touching down, causing destruction and we were already running out of time. I ran through the house grabbing jeans, tennis shoes, hoodies and helmets. The sirens went off and we were urged to take shelter. Except we don’t have one, we have a closet. The last thought that went through my mind before we went in was to text my family. A handful of names popped into my head and I sent the quick text asking them to please pray. We streamed the news on my phone so we could keep up and it didn’t look good. As they began to project where it was going, it was heading straight for us. The most damning moment was when they announced it was coming straight for the local high school that sits at the other end of our neighborhood and then told us the monster had grown so big no one could survive above ground. I just stared at my husband, tears falling, our son clutched in my arms, no words for the moment. And then we could hear it. It wasn’t what I expected to hear after being told many tornado stories in my life time. I was told they sounded like rushing freight trains, extremely loud. Instead it sounded like a strange whooshing, almost ghostly accompanied by a low growl as if the thing really were a beast. I was later told by someone who has experienced many tornadoes that this one was eerily different. We were beyond scared, we really thought we may die, these were our last moments. I prayed, I cried, I screamed and I held on the the only two people that mattered to me at the moment. I didn’t care about anything else, just as long as we lived. It could take everything, I just wanted to live and keep my boys. The news was tracking it as it moved, announce the cross streets as it came closer and closer. They announced it was crossing at the opposite end of the city block, the storm chaser marveled at how it was throwing whole houses into the air. I wrapped my arms tightly around my son, my husband wrapped his around me and we were silent. The sound grew louder but I couldn’t shake that it wasn’t loud enough… was it? 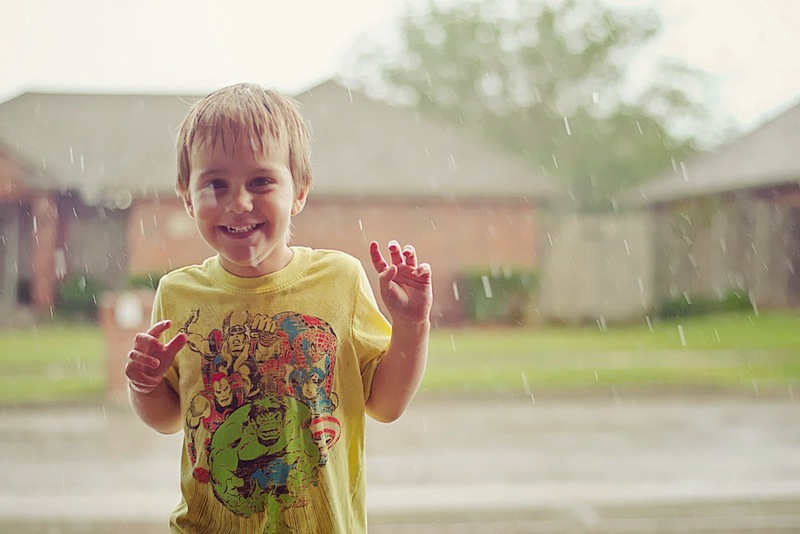 The lights began flickering, large hail thudded on our roof and then it all stopped. The closet went black and with our last moment of wifi we heard it had passed a cross street a full block south of us. We lost our connection and the news, we were literally in the dark. We whispered back and forth about it as if it may come back if it heard us. The sound of the monster began to fade and could not help but to feel exhausted. My husband cracked the closet door and listened, then he stepped out to check. We were safe. I walked to the big window in our living room and looked out, nothing looked out of place. If I didn’t know any better, I wouldn’t think anything had happened. My husband stepped outside to talk to the neighbors who had also emerged from their homes. It occurred to me at this moment I should try to call someone, particularly my parents. It’s one of those moments that sticks with me, as the whole day does. I was surprised that I could even get a call out and then mom answered. I could immediately tell by the sound of her voice she had been crying, she was upset. Before I could speak she began yelling, “Where are you? Where are you?” because while we hid in the closet, she watched the massive tornado rip through our city. I wouldn’t see it for days, but when I did I understood. It was massive and destructive, she thought it tore right through our neighborhood. She began to tell me about the places it hit, names that would become familiar as the whole country watched, like Plaza Towers and Briarwood. The hospital my son was born in, the movie theatre and all the neighborhoods. We couldn’t leave our neighborhood that night as the streets were backed up with emergency crews and people trying to just get home. We moved our mattresses into the living room so we could be near the fireplace and have windows open all around if we needed air. I didn’t hardly sleep that night, every time I closed my eyes I could hear it. At one point, in the middle of the night my phone gained internet for a few minutes and I was able to nab information. They were saying the death toll was nearing a hundred [it would later be confirmed lower at 24, which is still 24 too many]. I cried so much, I didn’t know the people but they were in a way, my neighbors. I passed Plaza Towers all the time when visiting friends in the area or going to Target. Orr Family Farm had been a place we explored and where we celebrated friend’s birthdays. The hospital was where our son was brought into our family and our friends welcomed him with us. How many of these people had I passed on any given day? The next day we went to my parents house and finally saw it on the news and as time passed we saw it up close. So many places are gone that should be there and it’s hard to see those empty places. Where houses should be on the skyline, there is just rubble and dead space. What is amazing is the outpouring from around the nation, the world. Over a month later and we still have volunteers out there helping clear debris as people prepare to rebuild. Monetary donations, people driving in from out of state to help, food donations, housing donations and so much more. People are amazing! Life is slowly getting back to normal. 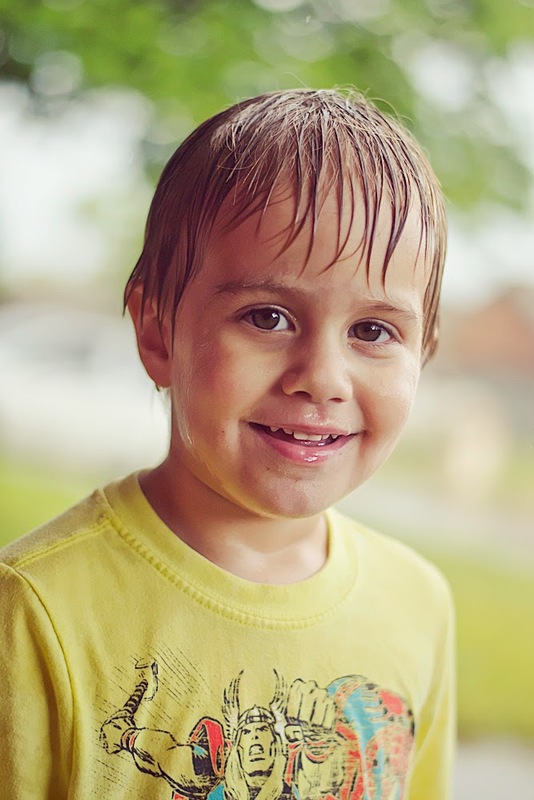 The following week a light rainstorm came through, Izzy began asking to play in the rain but this time it was just that. 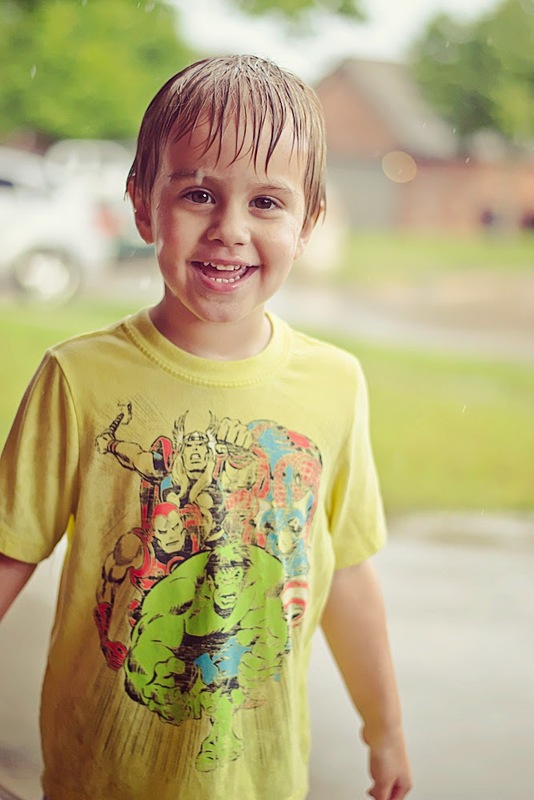 It rained, it poured and he played. He played, I played and we just enjoyed a moment of peace. I have things to post and I’ll be getting around to it. I have quilts to share, a chalkboard project and so much more. Life just got in the way for a bit. If I can just abstain from anymore painful sunburns, we should all be okay.